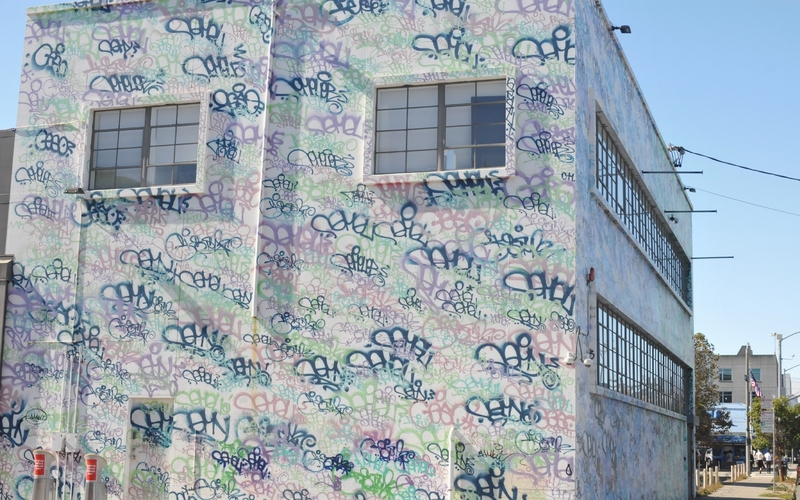 A building on the corner of 16th Street and Carolina Street was covered in a mural that resembled graffiti. 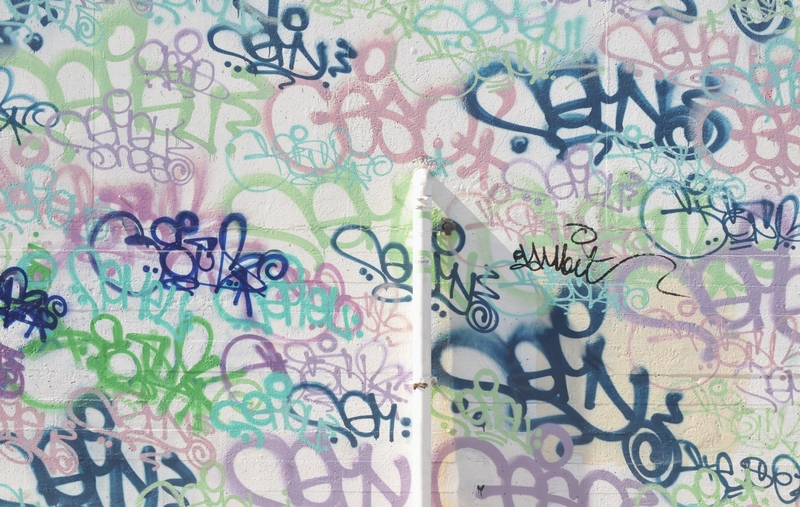 This was probably a clever way to graffiti-proof the building. 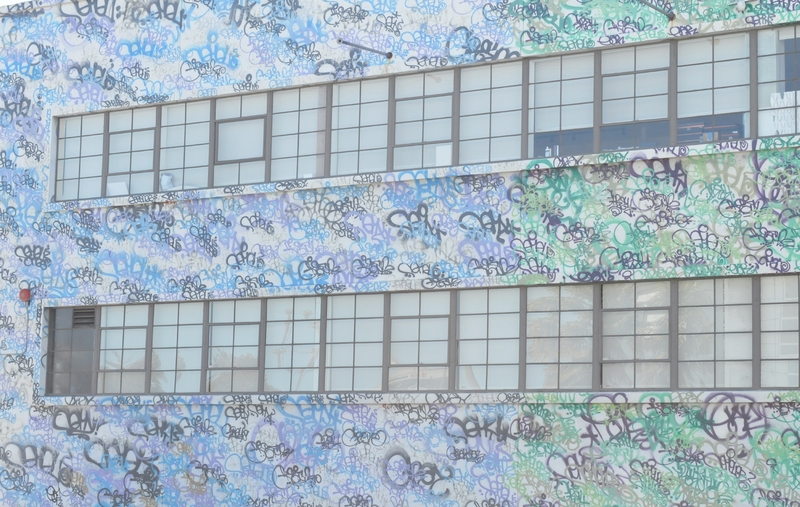 The mural covered the entire face of the building, including the window sills. 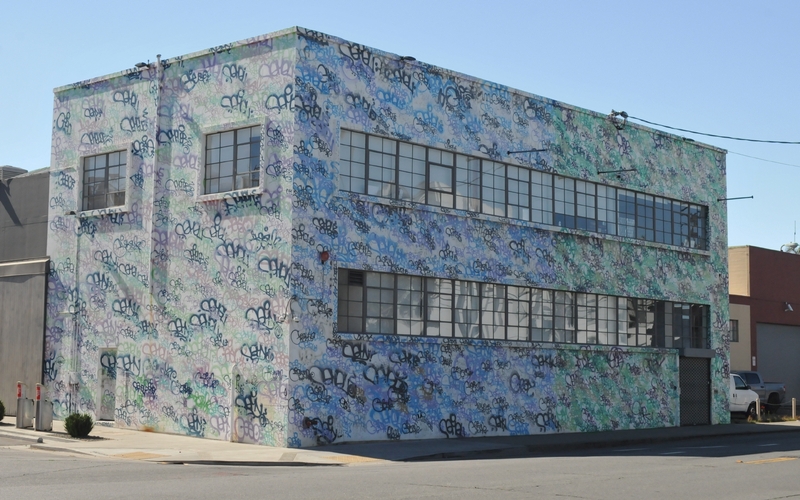 The mural covered the side of the building too, thereby creating a box of graffiti. 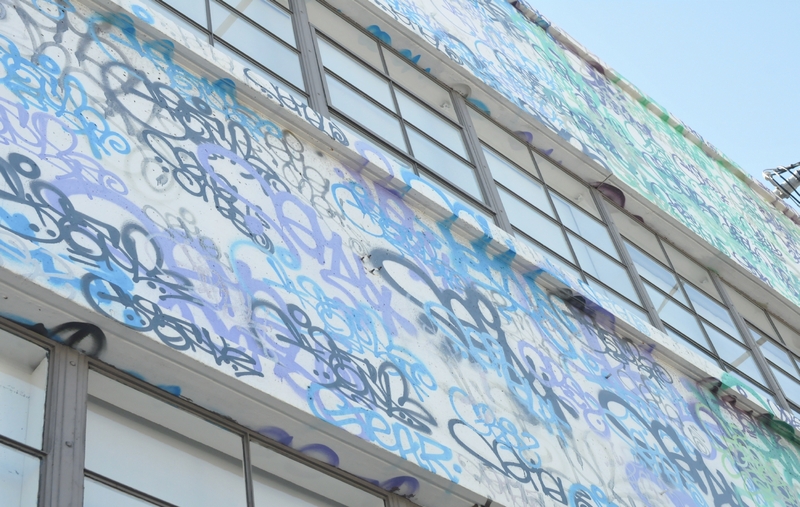 The building was covered in the word Geso repeated over and over and in different colors. 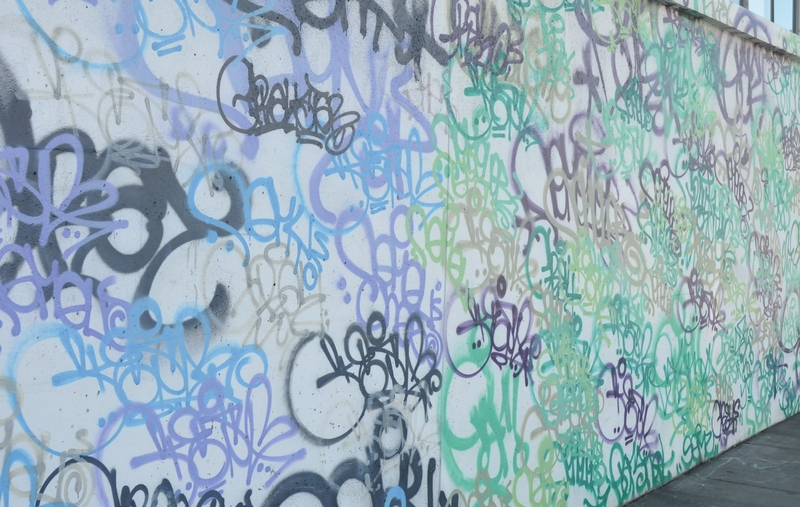 A closer view of the mural show that, in places, it even covered a pipe. The mural was carried over and around window sills, and even touched lightly on the window casings. 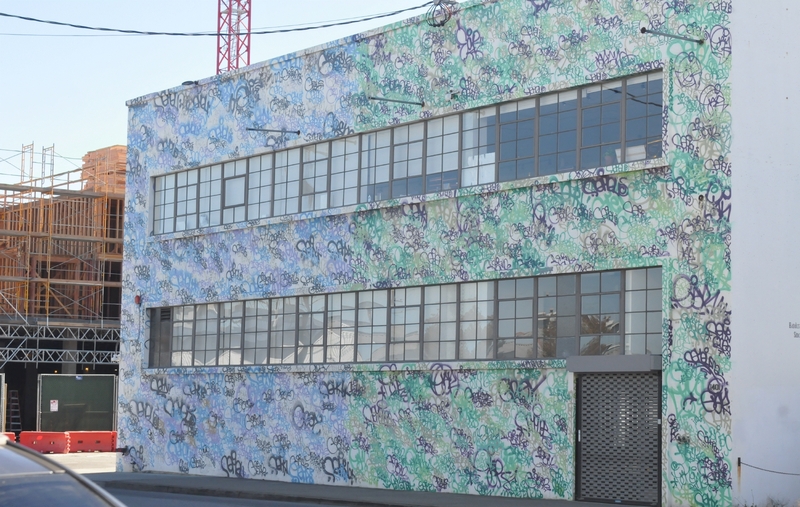 This photograph shows what the mural would look like if you were walking past it.